Most people in the Pacific Northwest are familiar with stinging nettle (Urtica dioica). 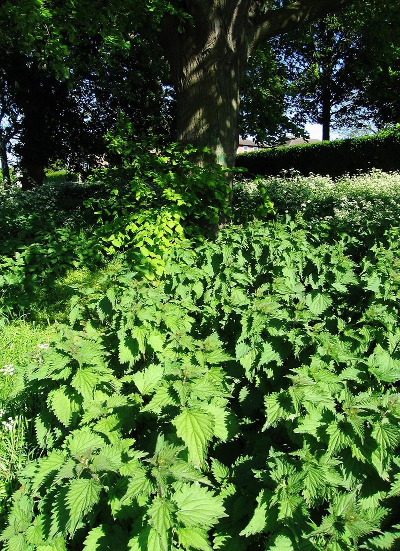 Nettle grows in a variety of habitats (it is often found growing in disturbed sites) and its defense mechanism makes its presence instantly apparent to anyone who happens to brush up against its leaves. Nettle has a long history of human use as fiber, food, and medicine; and figures prominently in both native and human altered plant communities. General: Stinging nettle is a perennial dioecious/monoecious dicot plant in the genus Urtica. U. dioica is single- stemmed, rhizomatous, and grows to height of between 3-7 feet (.91-2.13 meters) at maturity. Root system: U. dioica has a rhizome with lateral roots emanating from the main rhizome, and rootlets branching off from the lateral roots. The lateral and rootlet system is better developed toward the crown. Stem/shoots: When young the stem is thin, flexible, and lightly grooved. As the plant matures the stem becomes more fibrous and the grooves become more prominent. The stems are relatively square in cross-section. 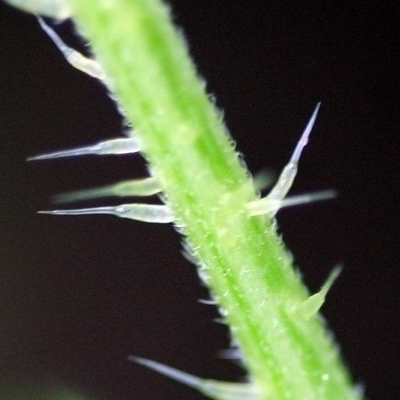 The stems are covered in hairs which are modified into stinging structures called trichomes which deliver a combination of chemicals (including formic acid and histamines) that can cause skin irritation, welting, and reddening. U. dioica has a strong shoot thrust which allows the plant to quickly gain height in competition with other understory plants. Leaves: U. dioica has opposite branching, and simple opposite leaves that are moderately green on the dorsal side and lighter on the ventral side. The leaves are covered with hairs, some of which are modified into needle-like stinging structures. The stinging hairs are located on the underside of the leaf and the stem. The petiole is moderately long and arises from a leaf axil with two linear stipules at the base. The main veins of the leaf are palmate with light sub-lateral venation. The leaves are ovate to lanceolate in shape with a shallowly cordate base and acuminate tips. The margins are prominently dentate with the terminal tooth (the acuminate tip) larger than the other marginal teeth. Reproductive structures: The male and female reproductive structures of U. dioica arise from the leaf axils (often in 4’s) on long drooping peduncles. The flowers have four greenish-white petals and four stamens. The flowers are inconspicuous individually but occur in dense clusters along the peduncle. The female flower stalk usually occur above the male peduncles on monoecious plants. U. dioica reproduces through seed and vegetative growth (through the growth of its rhizome). 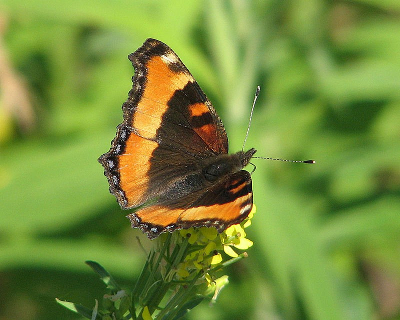 The small flowers with their reduced petals and lack of significant fragrance are not attractive to insect pollinators. The plants rely on wind as their primary source of pollination. Seeds: Small, tan colored achenes. U. dioica grows best in moist, deep soils, rich in nitrogen and phosphorus that receive full to partial sun. U. dioica is often found in moist forests, riparian areas and human altered habitats such as moist trail sides. 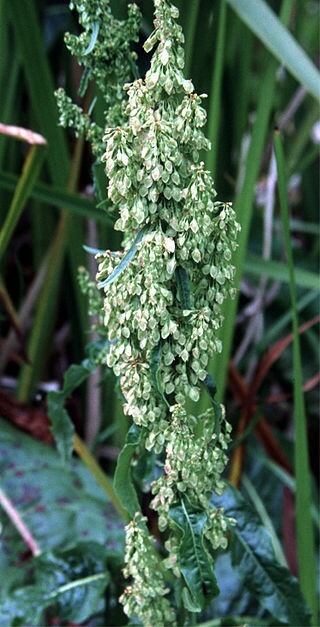 U. dioica grows from lowlands to the sub-alpine zone and is considered a facultative species (a hydrophyte found in both wetland and upland habitats). U. dioica often forms dense stands that can preclude the growth of other understory species. U. dioica can tolerate soils with higher levels of heavy metals present than many other species. U. dioica is considered of low value as a forage plant. The needle-like hairs serve as more than adequate defense despite the very high nutritive value of the plant (23-25% protein and 3-5% fat). 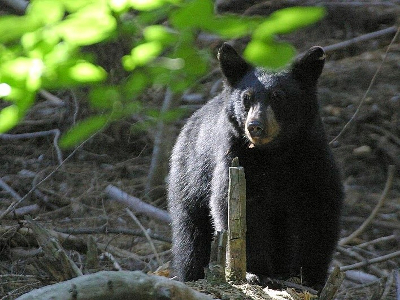 Black bears will strip the young plants of their leaves in the spring and black-tailed deer will occasionally feed on nettle leaves. 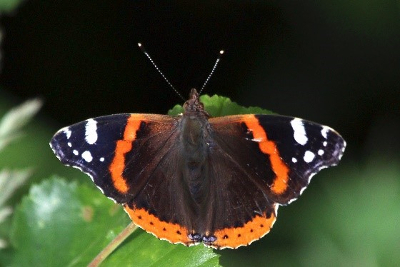 Three common species of PNW butterfly, the red admiral (Vanessa atalanta) and the milbert’s tortoiseshell (Nymphalis milberti) and satyr anglewing (Polygonia satyrus) use nettle as the exclusive host for their larvae throughout their development. Food: U. dioica can be used as a food plant when young (knee high or below) both when cooked (briefly steaming works well) or raw (folding the leaves breaks off the modified stinging hairs). 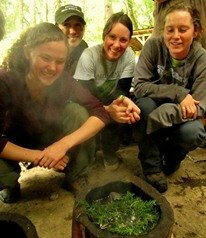 The leaves can also be dried to make tea (read our article on stinging nettle tea and infusions). When harvesting nettle the tops can be removed in the spring (two or three nodes down) and used for food. Harvesting in this way does not kill the plant, and also allows the same individual plant used for food harvest to grow for the rest of the season and be used for fiber harvest in the fall. Fiber: Stinging nettle can be harvested in the fall and dried for use in making cordage. You can learn more about this process through our article and video on making cordage from nettle fibers. Permaculture / Farming: U. dioica along with comfrey (Symphytum officinale) can be placed in a bucket of water and allowed to decompose to create a nutrient rich “tea” for fertilizing gardens (cover the bucket with a board to trap the unpleasant smell of the decomposition process). Neutralizing the Sting: A number of plants have been reported to have properties that help relieve the pain and irritation associated with stinging nettle encounters, although little research is present to back up the claims. 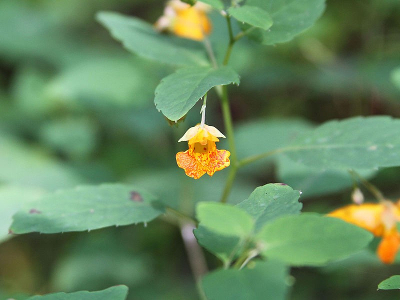 The plants most often used are jewelweed (Impatiens capensis), dock (Rumex spp.) 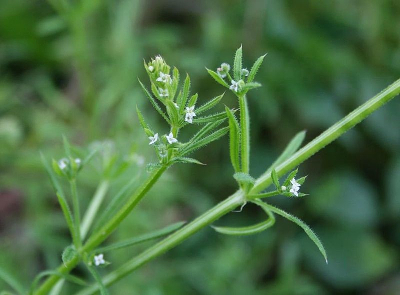 and cleavers (Galium aparine). The leaves of the above mentioned plants can be crushed to create a poultice and applied to the affected site to aid in relieving symptoms. Any relief felt could come from the chemicals present in the plant, from the cooling effect of the plant sap and fibers, or attributed to a placebo effect. In some areas U. dioica is classified as a noxious weed due to its ability create near monoculture stands in disturbed habitat (out-competing other plants). The ability to reproduce vegetatively from the rhizomes can make the eradication of stinging nettle a difficult process. Tilling can cut the rhizomes into pieces which get transferred to other soil locations extending or reestablishing the colony. 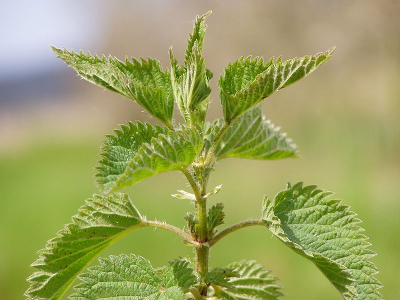 Check local, state, and USDA websites for noxious weed listings for your area prior to propagating any stinging nettle. Stinging nettle invites contrasting opinions. For some the plant is a nuisance, growing profusely where not wanted and stinging those who get too close. For others stinging nettle offers a myriad of uses, and is welcomed and even cultivated for its many uses.